Earlier this month, a hiking trail in Brazil’s Recanto Ecológico Rio de la Prata (“Natural River Park”) flooded due to unusually heavy rains. 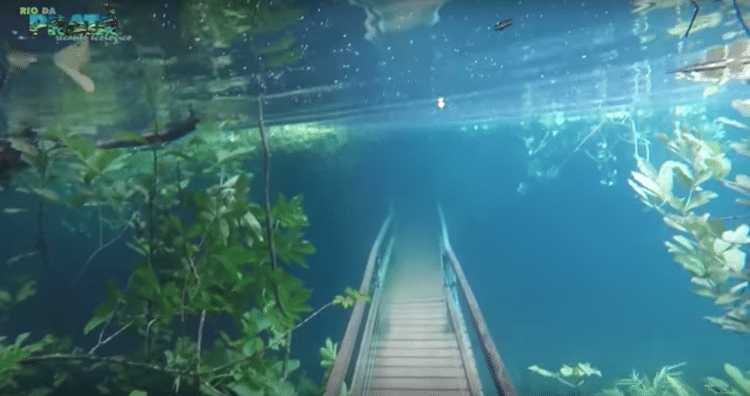 While most outdoor sites in this situation would turn into a muddy mess, crystal clear river overflow transformed the path and its surroundings into an enchanting underwater wonderland. As the rain poured on February 2, two nearby rivers—the Rio da Prata and the Olho D’Água—overflowed into the Recanto Ecológico Rio de la Plata’s rainforest. 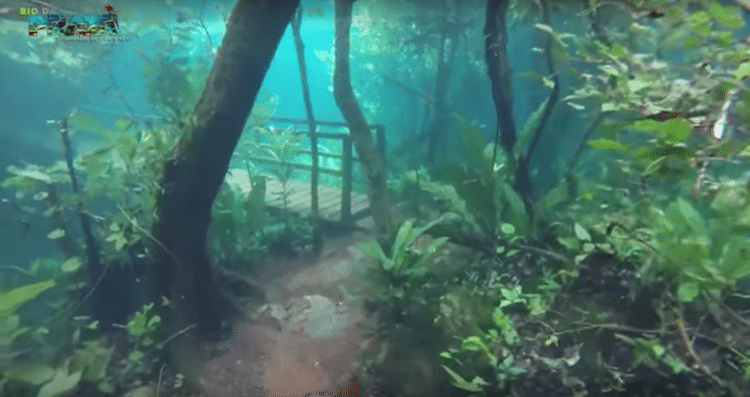 Waldemilson Vera, a park guide, captured mesmerizing footage of the flood as it submerged towering trees, tropical plants, and a wooden walkway in sparkling water. Talk about a perfect storm! Heavy rains submerged parts of Brazil’s Recanto Ecológico Rio de la Prata in crystal clear water. 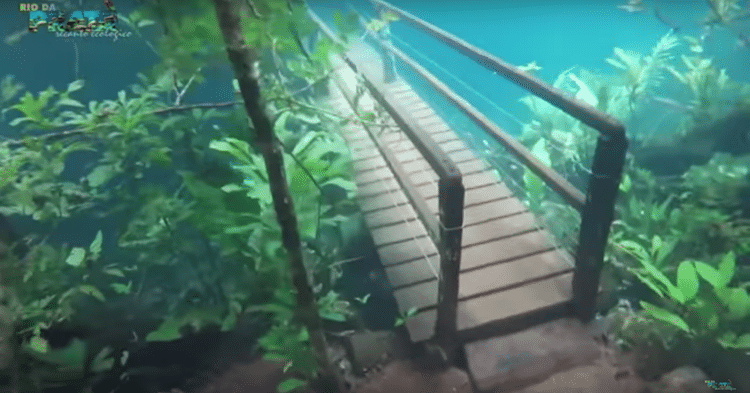 Mesmerizing footage of a trail in the underwater park was captured by a park guide. Amazingly, this unusual event happened weeks later, again turning the walkway into an underwater bridge.